Ruby White has burnt her bridges. She has no job, no direction in life, and just enough money to last a month. if she eats only rice and her cat catches his own meals. When her best friend, Anise, holds a dress-up party, Ruby drowns her sorrows and meets Damien, whose vampire costume belies his sweet nature. With time on her hands, Ruby soon finds herself at a seminar for those who are Hyper-Auto-Aware, a condition she never knew existed, run by the Jaasmyn Empire, a company she's never heard of. To Ruby's astonishment, and that of those who know her, she is offered a job. 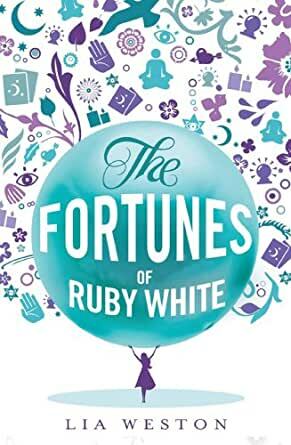 Attracting the attention of the charismatic head of the Empire, Jaasmyn, Ruby ignores her misgivings about the Empire's ethics and enjoys fitting in somewhere for the first time in her life. When the reactions of those outside the Jaasmyn Empire become more cynical and her cautious relationship with Damien wavers, Ruby begins to keep her job details secret. As her training progresses, her parents become even more concerned. It seems the zany girl who used to eat chocolate for breakfast and salted pretzels for dinner won't touch anything that isn't organic and the further Ruby penetrates the Empire, the more her behaviour begins to change. As Ruby disappears into the mire of mind, body and spirit, her friends and family try numerous ways to lure her back but their efforts only push her more into the arms of the Jaasmyn Empire and its mysterious leader. Fortunately Ruby's friend at the empire, DeDe, is onto Jaasmyn and orchestrates an unforgettable media expose. Finally Ruby begins to resemble her old self but will Damien continue to hold a candle for her as a bold new age begins? I thoroughly enjoyed the Fortunes of Ruby White. The first, more lighthearted part of the book offers a good deal of pratchett-style humour which had me chuckling my way through as I quickly warmed to the major characters. Still, I might've managed that affection without the comedy, as Weston manages to write very plausible, complex characters whose interactions feel genuine and relatable. As the novel takes a more serious turn, we get a good look at the manner in which cults insinuate themselves into people's lives. We can see how reasonable people can get sucked in, and the harm that can result. Ruby White sees firsthand the sinister underbelly that lurks behind overpriced teas and scented candles. This book is really well-written, funny and has unexpected twists and turns. It's not just your standard chick lit, the characters are multi-dimensional and their lives are not typical. It's interesting! Lia Weston is a great writer. I can't wait to see what she does next!